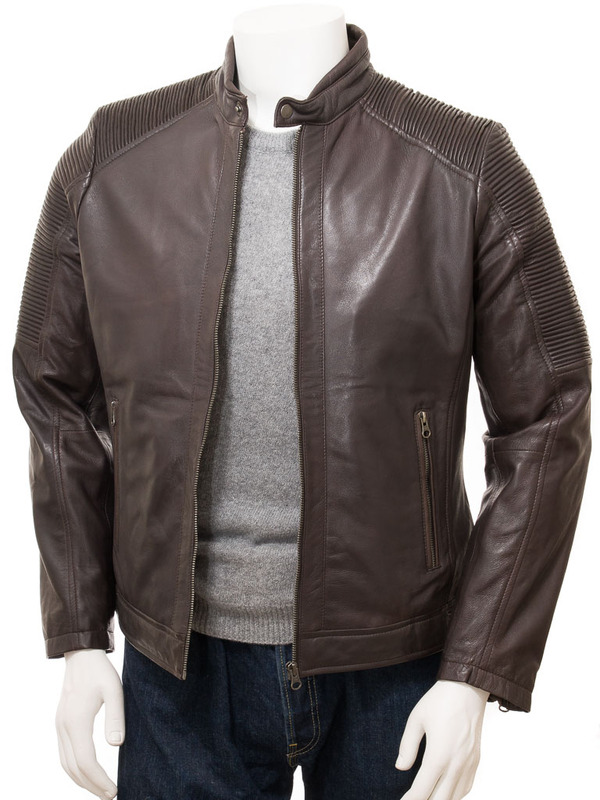 A stunning brown leather biker jacket with an innovative articulated shoulder section. 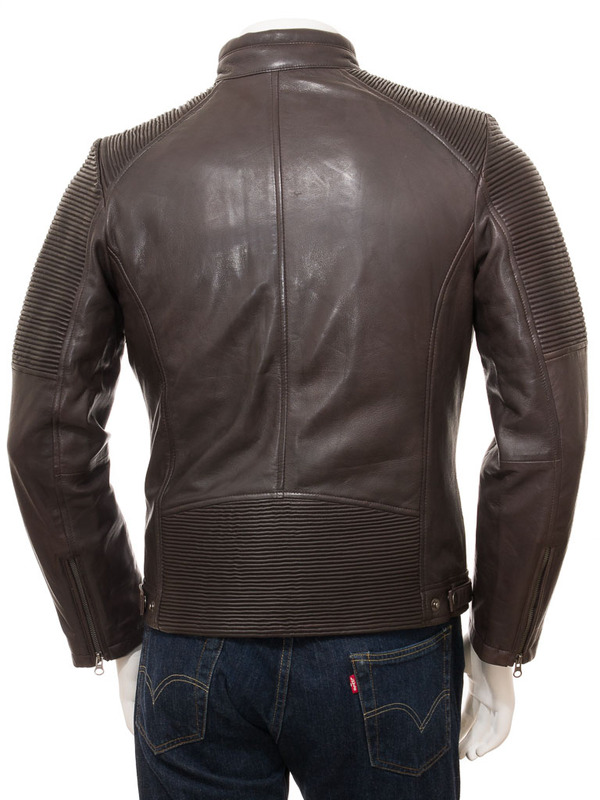 The classic, cafe racer biker jacket just gets better and better. 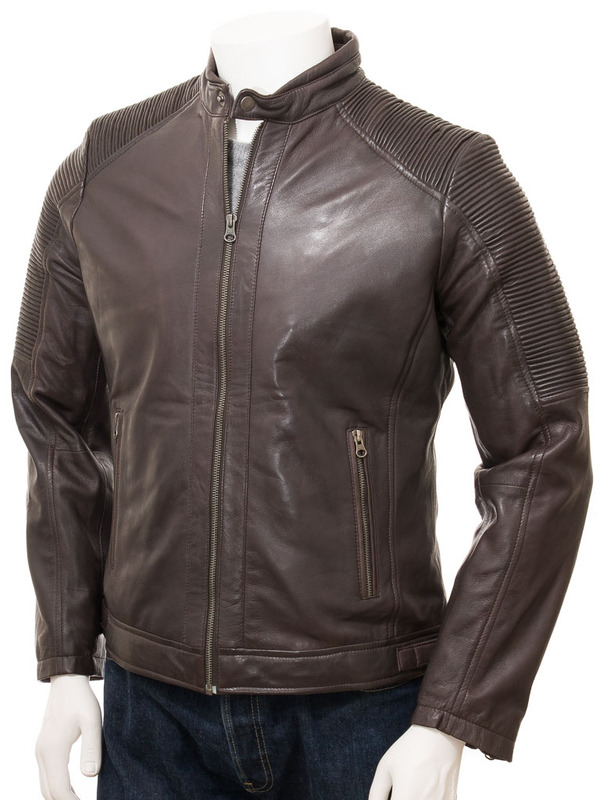 This style has all hallmarks of the original with a YKK zip leading up to a short, padded, tab collar fastened with a press stud. However this piece features a ruched rib section stitched in such a way that the ridges stretch and contract with the movement of the arm. 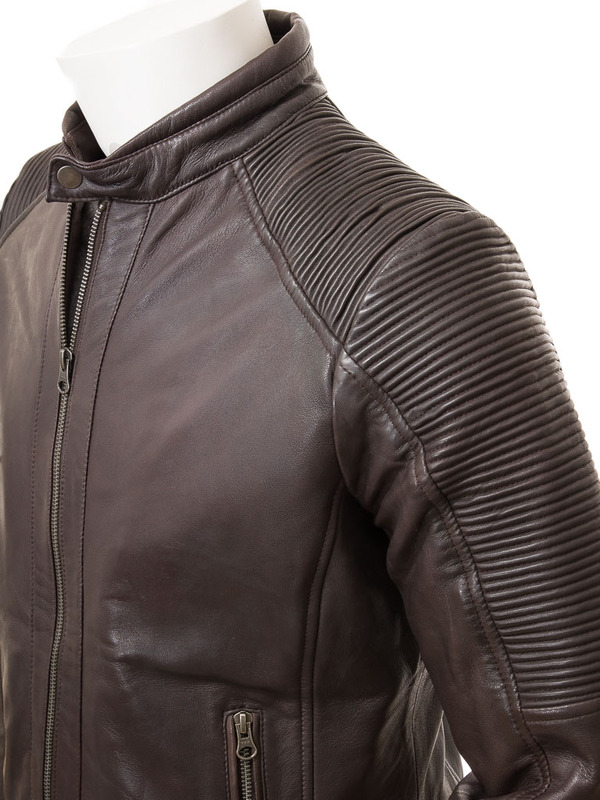 I makes the jacket much less restrictive and easier to move around in than the traditional inset sleeve. In addition the Filleigh features two zipped pockets at the waist, waist adjusters, zipped cuffs and another articulated panel at the base of the spine. 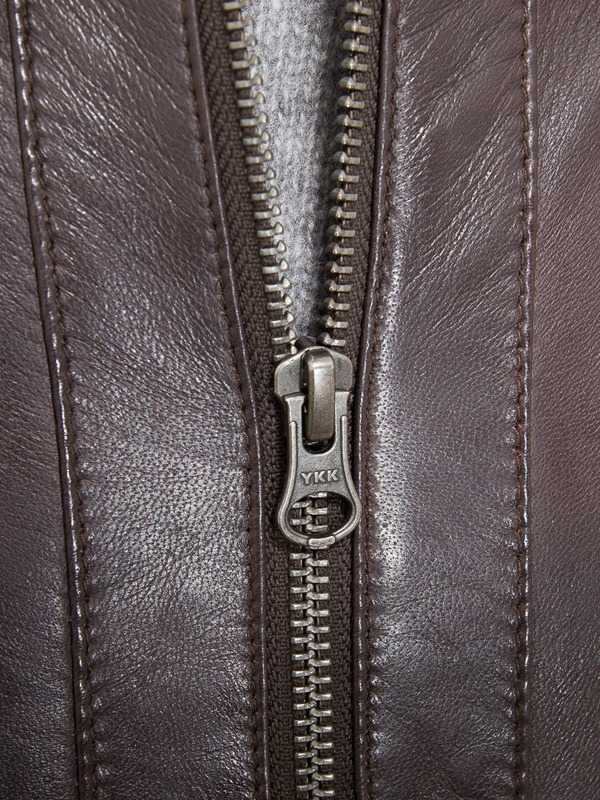 Inside you will find the jacket is fully lined with two, leather trimmed pockets, one of which is zipped.